Some of the most loved and cherished members of our family can't even speak our same language. Still, that doesn't stop millions of people around the world from falling in love with their pets and treating them like regular members of the family. However, owning a dog comes with a lot of responsibility Owners are left with many questions about taking care of their animal. They have to find out the best food, make sure they are staying fit and active, and also keep up with grooming their furry friend. Sadly, a tragic news story is being reported. 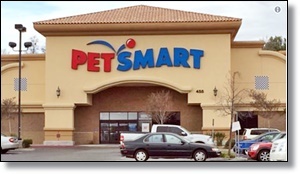 Numerous dogs have been dying after being groomed at PetSmart.